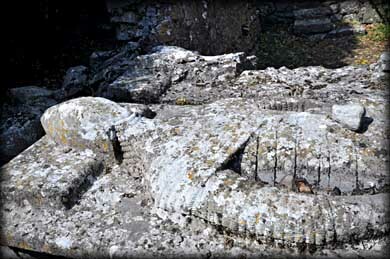 The early monastery was founded by St Ciaran of Seir in the 6th century-see the Round Tower page. 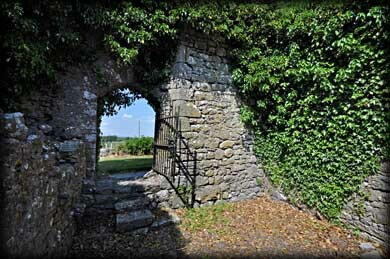 In the 13th century a monastery was founded here by the Blanchevilles for the Canons Regular of St Augustine. The present church may have been part of that Priory and was in use until 1780. A small chapel on the north side of the church contains the tomb of John MacGillapatrick and his wife. 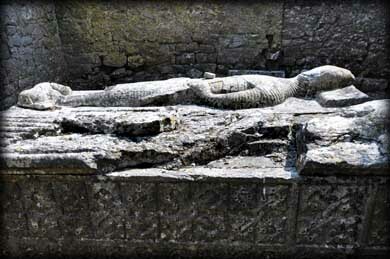 It is believed the tomb was carved by Rory Tunney in c.1540. 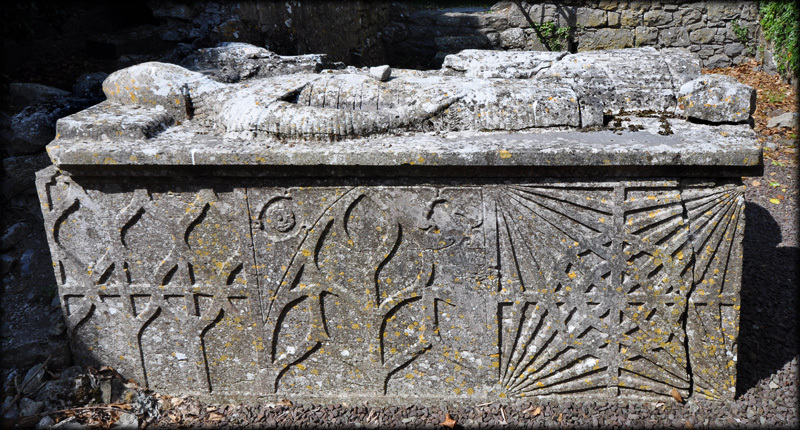 Tunney is noted for tomb carvings at Jerpoint Abbey and St Canice's Cathedral in Kilkenny and Kilcooley Abbey in Tipperary. Situated: From the M8 take exit 4 for Johnstown. Then in Johnstown turn left onto the R693. After 3.5 kilometres turn left. The church is 800 metres down this road. Discovery Map 60: S 3071 6980. Last visit June 2013.